The under 21 team played in the district final tonight against Rathnure in St Patrick Park and won on a scoreline of 2-12 to 2-09. Conditions made it a poor game of hurling with both sets of forwards finding it difficult to score. We traded points for the whole of the first half, but Rathnure missed many chances and we went in at half time the suprise leaders by 0-05 to 0-04. The second half produced a more intense battle, which we were on top in for most of the second half, but it still took some great saves from Morgan Gahan to keep our lead . At one stage, thanks to two goals from James Sweeney, we were nine points ahead. Despite conceding two goals in injury time we managed to win the game by three points and have now qualified for the county semi final. It was certainly not our best performance and improvements will still have to be made for the next day. Team: 1. Morgan Gahan 2. Ray O Brien 3. Aidan Gahan 4. Liam Gahan 5. Dean Fenlon 6. Niall O Reilly 7. Paul Gahan 8. Padraic Flynn 9. Mick Sweeney 10. Laurence Murphy 11. Matthew Dunne 12. Mark Walsh 13. Peter Mernagh 14. Bryan Dwyer 15. James Sweeney Sub: Patrick Walsh for Bryan Dwyer, also Sean McCabe, Tomas O Leary, Diarmaid Breen, Brian Bolger, James Gahan and Sean Murphy. The junior football team enusred qualification to the quarter finals with an easy win over Bunclody this evening in what was an awful game of football. We started brightly scoring 2-02 in the first 10 minutes thanks to goals from James Sweeney and Damien Fenlon, and points from Marty Kelly, but we conceded a penalty minutes later which was scored to leave five points between the teams. There was nothing of any interest which happened for the rest of the half apart from Bunlocdy scoring their first point towards the end of the half to leave the score 2-02 to 1-01 at half time. The second half started in much the same fashion as the last 20 mintues of the first half and it took a goal from corner back Paul Gahan with 10 minutes to go to put the game beyond Bunclody’s reach. We finished well with scores from Mick Sweeney, Marty and Bertie Gahan to end comfortable winners by 3-06 to 1-02. 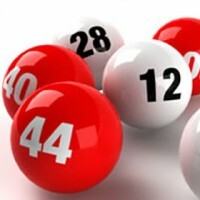 Next Lotto draw will take place on Tuesday 7th August at 9.30pm in GAA complex. All welcome. The presentation of the funds raised from the soccer, wax and headshave which took place on the 26th Of May, will take place on August 6th at 5pm in the Monageer Tavern. The money will be presented to the Haughton Institute of Cancer Research. Many thanks to those who participated in the fundraising event and who helped to make it a success. Club Wexford & South East Radio are organising a Charity Walk in aid of CWCW (County Wexford Community Workshop) the Public Holiday weekend, Monday August 6th. The walk will start at 10am at The Half Way House Pub, on the R746 road from Bunclody to Kiltealy. The walk is called ‘The Turf Cutters Trail’ as it follows an old trail up the Blackrock Mountain, one of the Blackstairs Mountains beside Mount Leinster to Moaneer, where in olden times people cut turf from the mountain bogs to provide fuel for their fires and cooking each winter. It’s a 10k walk rising to 599 metres at the top of Blackrock Mountain where there are spectacular views of all of Wexford. Damien Fitzhenry will lead the walk and will be on the Alan Maguire Afternoon Show on South East Radio each week giving advice on training for the walk and answering your questions. Rory Murphy (The John Murray Show) is the chief Organiser and Route Planner. So come on, get fit this summer, see some of Wexford`s most beautiful scenery, and raise funds for Wexford Charities. Simply call me on the numbers above and be active, be healthy and support a good cause. After playing 2 games the team have 3 points in the championship. The team beat Gorey in Gorey on 4th July and drew with Blackwater in Monageer on 17th July . The match against Blackwater was a very intense game. With 5 mins to go M/B were 5 points down but with a goal and 2 points the sides were level at the end of the match with 3 goals 10 points each. It was a team effort with 6 girls scoring in the game. Mary Breen scored 1 goal & 1 point. Ciara Garahy scored 1 point. Rosemary O’Loughlin scored 1 goal & 3 points. Orla Redmond scored 1 goal. Amy Stokes scored 2 points. Amy Walsh scored 3 points. The next Championship match is in Monageer on 31st July at 7.30pm against Buffer’s Alley and the girls would really appreciate your support for this crucial match. The intermediate team played ballygarret tonight in a practice match and lost by 2-21 to 4-13. To be fair ballygarret out hurled us for the whole game and it was really the goals we got which made the game look close. The under 21 hurlers beat bunclody tonight by 0-24 to 1-09. Playing with the wind in the first half we started well getting the first couple of scores but bunclody responded with a goal and a point to lead by 1-01 to 0-03. We traded points, with Peter Mernagh, Mark Walsh and Laurence Murphy all raising the white flag and despite some missed frees we got the last few scores of the half to lead by 0-12 to 1-06 at half time. Playing against the wind in the second half we knew we had to improve in order to win the game. We managed to outscore bunclody against the wind by 0-12 to 0-3 in the second half with a very good performance. Despite scoring 24 points we never really had a decent shot at goal, and maybe this was down to the indiscipline of the Bunclody backs who fouled before we had a chance to work the ball in for goals, but having said that some of the frees were soft enough. We are now into the district final which will be played sometime over the next two weeks. The under 21 hurlers play in the district semi final on Monday night against Bunclody in St Patrick’s Park at 7.30pm. All support would be very welcome. The junior ‘b’ hurlers play in the championship in Monageer tomorrow night at 7.30 so supporters face a tough choice between it and the under 21.